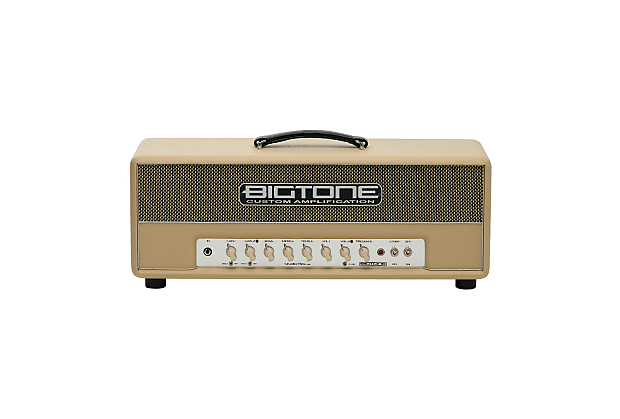 The BIGTONE Studio Plex is the amp that started it all and has now evolved into the Studio Plex mkII. Now a 50W dual channel amp that can cover two very different objectives: the studio player who needs a palette of tones thanks to the several toneshaping options that the circuit delivers, and the “I just need a couple of good sounds” player that doesn't want to get bored with complicated front panel controls. From crispy British cleans to sweet classic overdrive, this amp can cover lots of different tones with preamp switch selections and the Gain control. Exhibiting exceptional dynamics to capture the player's feeling. This amp reacts extremely well with boost and overdrive pedals. It just loves them and you’ll love how they perfectly mix togheter. Channel 1 will get you in the clean to crunch department, depending on how you adjust the gain, 'bold-neutral-bright' switch and volume. Channel 2 will get you into the low to medium-high gain sounds, also featuring a 'bold-neutral-bright' switch. The overall gain and feel of the amp is controlled by the high gain front panel switch, that will be the perfect option to go from smooth to aggressive sounds with the flick of a switch. If that's not enough, there is an internal fixed Gain Boost available on both channels. This way Channel 1 can go up to classic rock sounds, and Channel 2 can go into hard rock high gain tones or liquid leads. 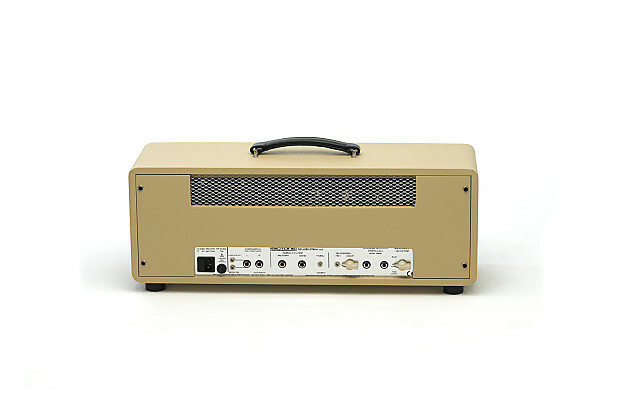 The Power Amp is based on a classic British 50 watt EL34 power amp, with some tweaks to allow adjustment on the fly from classic to modern sounds. Thanks to Deep, Feedback and Presence controls the response can range from soft to hard, from focused to wider spectrum. Our amps all feature heavy-duty PCBs (2.4mm thick, double sided 70um copper) and oversized high quality components to ensure a problem-free life, along with Mercury Magnetics mains and output transformers and choke, and selected tubes for maximum tone from the first day of use. There is no need to hunt for improvement tweaks after purchase - extensive R&D in the lab and on stage means we can confidently say we have already done that for you. Check the mp3 clips on the left and don't forget to scroll down the list for more Clips! Read the specifications below to learn more about this beast. CH1 channel featuring gain and volume controls, and bright-neutral-bold switch. CH2 channel featuring gain and volume controls, and bright-neutral-bold switch. High Gain / Low Gain overall mode switch. Footswitchable Gain boost available on both channels. Serial FX Loop designed for maximum transparency, with selectable +4dBu/-10dBV level. Rear panel featuring Deep and Feedback controls for adjusting the overall response. Mercury Magnetics custom transformers and choke. Dual speaker output jacks with impedance selector for 4-8-16 Ohm. 2 stereo jacks for external switchable features control, also with rear onboard switches for direct selection without footswitch or switching system connected to the amp. Footswitchable features: CH1/CH2 channel, Gain Boost and FX Loop On/Bypass. Available for 110-120-220-240 Mains Voltage. Please advise when ordering!!! Custom finish available without price increase (contact us for availability). Head Dimensions: 66(W)x26'5(H)x21(D)cm. Height includes rubber feet & handle.